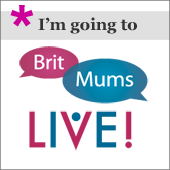 BritMums Live is just around the corner, the schedule is an eyelash away from being finalised and most of the tickets are gone (if you’re still “thinking about it”, now’s the time to snap up a ticket so you don’t miss the Best Blogging Event of the year). BritMums Live runs over two days and brings together bloggers from across the UK. It’s THE two-day social media conference and blogger event where bloggers and social influencers meet, socialise, network with brands, improve their skills and fire their creativity. 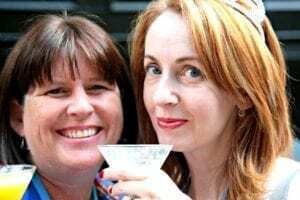 Now’s the time to gear up with our annual I’m going to BritMums Live Linky, where we each introduce ourselves and get to know some of our fellow attendees before the big weekend. It’s a great opportunity to say hello before you’ve even stepped inside The Brewery. – Visit as many of the bloggers who link up below, leaving a comment or even arranging to rendezvous with them during coffee, at the BiBs party or in a session. We look forward to ‘meeting’ you via the meme and then connecting at BritMums Live. We’re really looking forward to meeting you! Grab the badge to show everyone you’re going! Next Post Home and Design Round-up: Be inspired! Great linky and I’ve enjoyed reading these posts. I’m now even more excited about the BIG WEEKEND! !